We are pleased to announce that Payal Singh, Director of AGS Movers India, was appointed as President of FIDI India in September 2012. FIDI is the largest global alliance of quality international removal companies and a byword for superior quality through its prestigious FAIM accreditation. 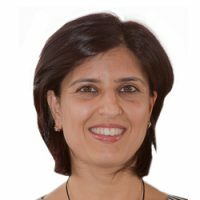 AGS Movers India manager, Payal Singh, business woman and mother, has been involved with the Fidi India Board for over three years, to promote growth and best practises with in the Indian removals industry. Her appointment as President of FIDI India is a rewarding acknowledgement of the skill and experience that Payal brings to the industry and her leadership of AGS Movers India. The FIDI president role will offer Payal the opportunity foster development and quality within the removals industry in India and in the global FIDI platform. Congratulations Payal and our best wishes for your term as president of FIDI India.